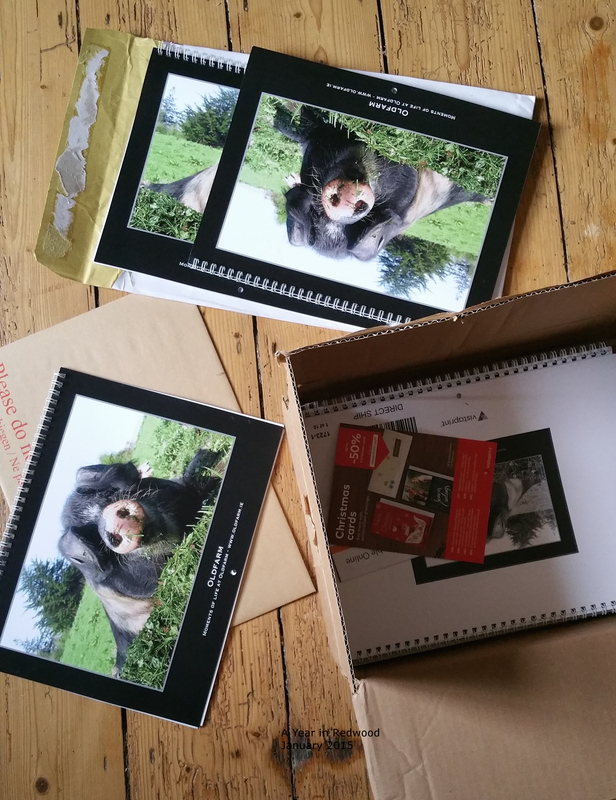 Regular readers will have seen the Friday Photo I posted showing the calendar that we had printed this year. However, I thought I’d share the ‘story’ behind the calendar. One should always share the ‘story’ don’t you think? My sisters are quite arty….. well able to put pen or brush to paper and produce something. My Mum discovered the artist within her on retirement and produced some lovely paintings. Me? No good at all! While I loved dressmaking and used to even design and create my own patterns, I could not draw at ALL. I attended dress-designing classes at one point and used to drive the teacher mad. I could describe what I expected to achieve but give her no idea visually on it! But, hey, I could make the pattern – that was just a mathematics exercise – I’m a nerd! Over the years, I’ve had cameras. And on occasions produced good snapshots. And then came digital photography….. I found my ‘artistic nirvana’. Now, I know my photographs aren’t all great. I’m still learning. People have often said to me ‘that’s a great shot’, but I’m looking at it and seeing how I could have done better….. I have been well tutored by Suzanna at Zwartbles Ireland. Go do a day course with her if you get the opportunity…. it will not be wasted…. you will learn so much. Sometimes though I do knock myself out with the occasional stunning shot. And so we come to the calendar. Who hasn’t looked at something/anything and said, sure I could do that myself, or in fact, I’d do better. Well I was like this and probably driving Alfie mad! Although, to be fair, he’d often say to me…. your photographs are way better than those. When I won a copy of Catherine at Foxglove Lane’s book (and cards) and read about her venture into self-publishing, it inspired me and kind of instilled a bit of bravery into me. And, I said, yes, I am going to give it a shot. The calendar is my little foray into self-publishing. Not all the photographs included have been taken by me. Alfie has taken a few. We’ve been blown away by the number of compliments we’ve received, and by the number of people who’ve purchased a copy. In fact, we’ve had to do a second print run! Copies have gone to all corners of the country, and to all corners of the world. 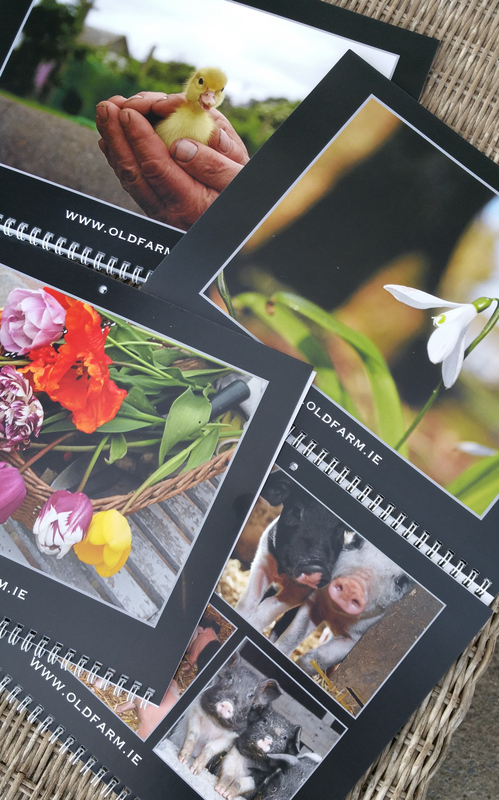 We hope you enjoy the photographs over the coming year which are mostly of moments of life here at Oldfarm.